Ain’t Misbehavin’ is an extraordinary musical because it encompasses 30 show-stopping musical numbers that take you on a journey not only through the Fats Waller song book but through Harlem in its heyday. With snazzy period costumes, complete with bowlers and spats and ermine and pearls, the dynamic five member cast and a six piece band turn the theatre into a rollicking rent party. 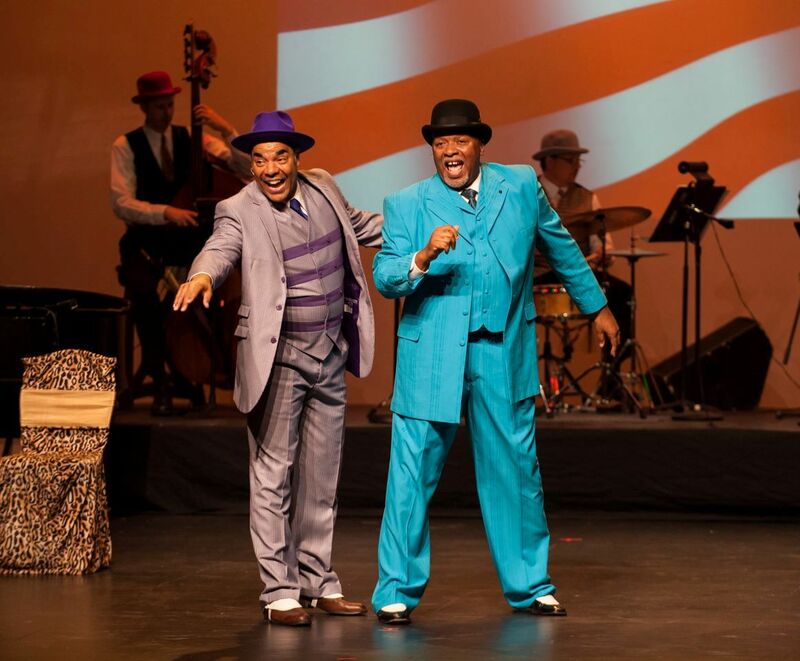 Ain’t Misbehavin’ is a night of entertainment that audiences young and old will never forget. When Ain’t Misbehavin’ opened on Broadway, it made history by winning every Tony award, including best musical “the opening night audience almost knocked the roof with cheers,” reported William Glover in the Associated Press. Time magazine called it a “Stompin, ‘struttin,’ ‘highhattin’ smash and Clive Barnes predicted Ain’t Misbehavin’ will be “A joyous celebration that is going to cross the world.” Well, that time is now, with an exciting new production of this award winning musical. “I wanted to let you know how much our audience enjoyed the performance of Ain’t Misbehavin’. The audience particularly enjoyed the hilarious songs such as “Your Feets too Big” which included randomly chosen audience members.